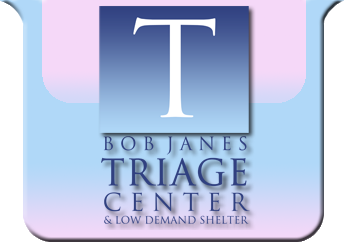 The Bob Janes Triage Center & Low Demand Shelter is a place for individuals who are at risk for committing minor non-violent crimes, and suffer from a behavioral health crisis. Individuals are accepted from the hours of 9:00 a.m. until 12:45 a.m. 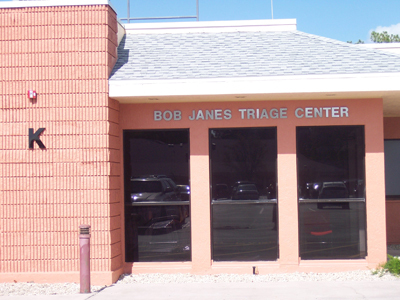 The Triage Center is staffed by medical and behavioral health professionals from SalusCare, The Salvation Army, and Lee Memorial Health System. The goal is to reduce the number of individuals with known mental illness or substance use disorders who are arrested and taken to the County jail for low level offenses. - Reducing the time that law enforcement officers interact with the individuals with the mental illness or substance abuse disorder. - Improving the outcomes for the individuals who tend to cycle through the criminal system by engaging them in treatment.